The Team Vass Smock delivers supreme, heavy duty waterproofing in a comfortable, stylish over-the-head smock. Breathable, windproof and waterproof, the Team Vass Smock in Black is made from the lightweight Vass-Tex 175 fabric, and features a button over storm collar, spacious front pocket, and elasticated hem and cuffs to keep the wind out. This superb Smock is finished in a striking Black/Red colour. 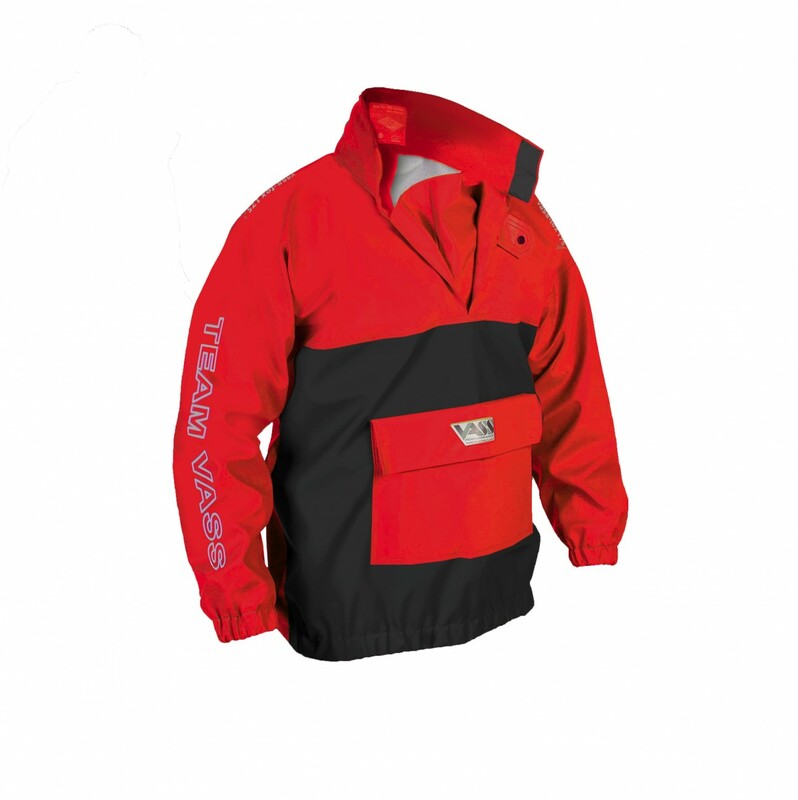 FREE Delivery on all Vass Tex Jackets / Smocks / Fleeces over £100!! !